A huge thank you to The Rev. 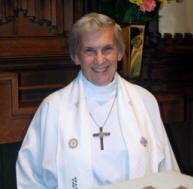 Canon Doris Bray for her many years of faithful leadership here at St. John’s. May her retirement be BLESSED!